Here is L. Ron Hubbard's first description of Dianetics. Originally circulated in manuscript form to a few friends, it was soon copied and passed hand-to-hand until it literally circled the globe. But the resultant word of mouth only fueled the fire. With thousands of letters requesting more information, Ron concluded the only way to answer all inquiries was with a book. That book was Dianetics: The Modern Science of Mental Health, now the all-time bestseller on the mind. 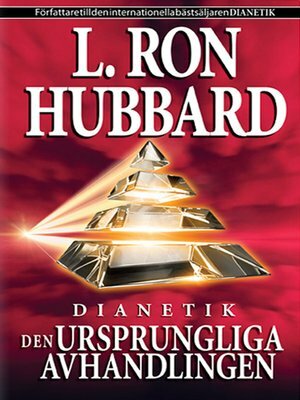 Find out what started it all including: The Primary Axioms of Dianetics; The discovery of the Dynamic Principle of Existence that drives all life forms—SURVIVE and the discovery and anatomy of the Reactive Mind—the hidden part of your mind that stores all painful experiences and then uses them against you. Don't live with insecurity, negative thoughts, depression and irrational behavior. Use Dianetics and get rid ofyour reactive mind.